My motto today is . . . 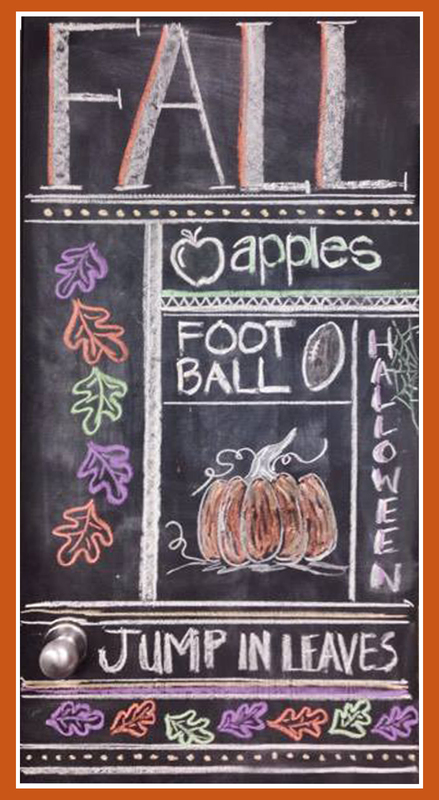 If you do the chalkboard art, fall will come. Hopefully that actually happens. The weather forecast for next week actually has the high in the 70’s and I don’t see the word humid anywhere in the mix!! There is hope. As I anticipate fall I can’t help but also think about the many wonderful opportunities for activities with young children. Here is a short list of ideas. Rake leaves – and of course jump in them. Use leaves to make rows that form letters. 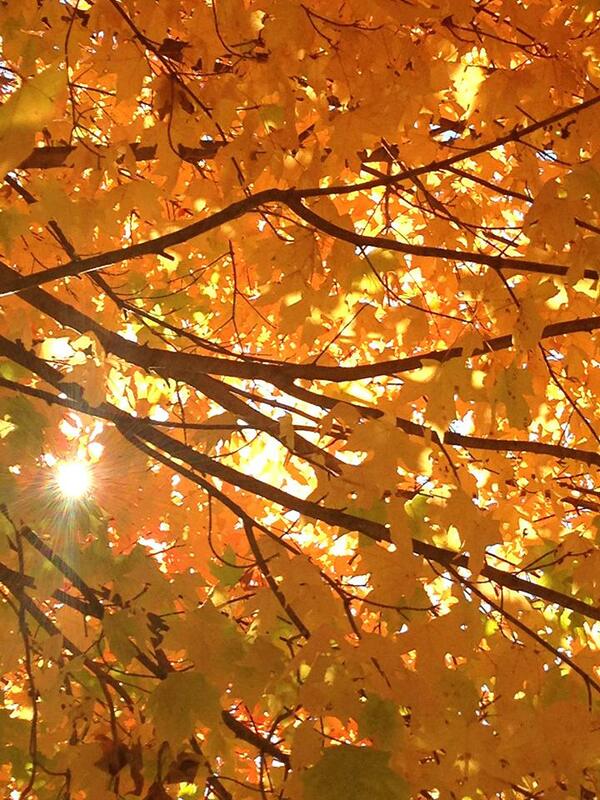 Go on a colorful leaf hunt. 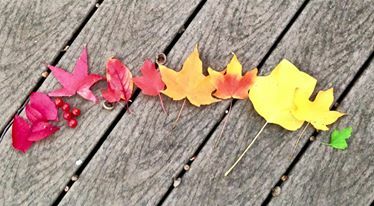 Throw colorful leaves on a small blanket “parachute,” toss them and watch them twirl down. Use leaves, nuts, sticky balls, etc. to make a pattern. Take a picture of a tree, once a week. Notice the changes. 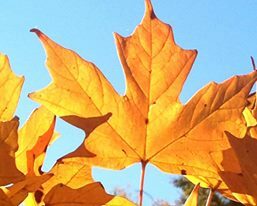 Sort leaves into piles by color, size or shape. Find different shaped pumpkins; fattest, biggest, skinniest, bumpiest, etc. If it’s not crowded, race through the patch like a maze. 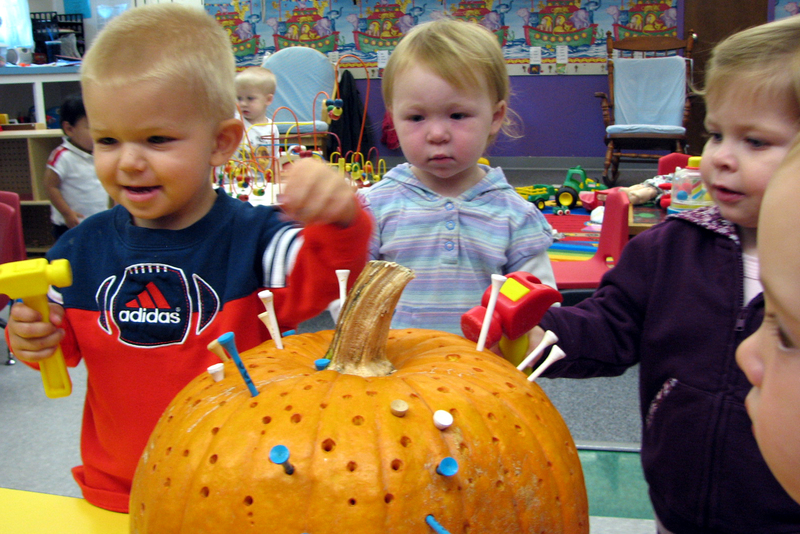 Guess how many pumpkins are in an area and then count them. Buy an extra pumpkin for golf tee hammering. Take walks and notice the changes happening in the world. Put on a raincoat and boots, walk outside on a rainy day. Watch for squirrels. They are super active this time of year. I like to sing an adapted version of the song, Gray Squirrel. Scamper up and down the tree. Find a nut for you and me. (If no one is allergic) Find a variety of nuts and seeds forming on plants. Crack them open to investigate what is inside. Go apple picking at a nearby orchard. Drive out to the country to watch a farmer harvesting crops. Cut an apple in half. Put one half in your refrigerator and the other half on your deck or patio. Observe how they change. Take a walk on one of the many nature trails around town. Lay on the ground and look up through the trees. 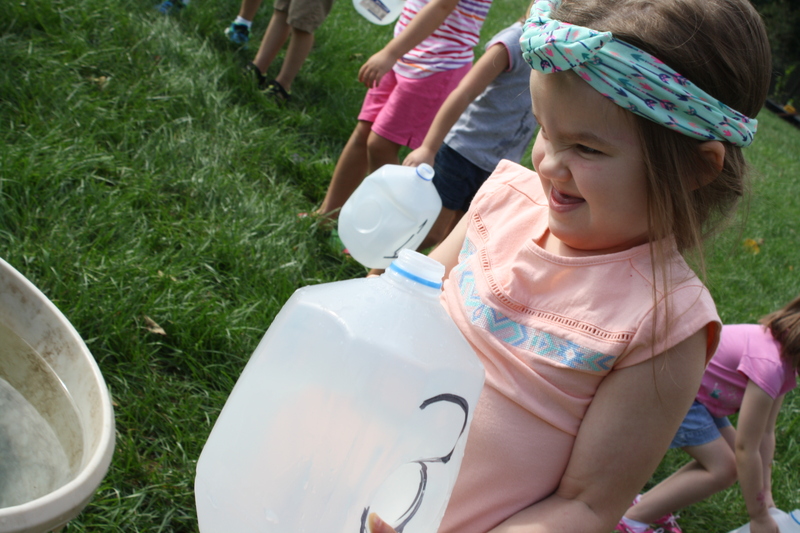 It is the time of year that children often have very little to say when you ask “What did you do at school today.” Here’s a small glimpse into the day of some of our Blue and Red AM classes. Through active exploration these children learned a lot about elephants . . . and colors. 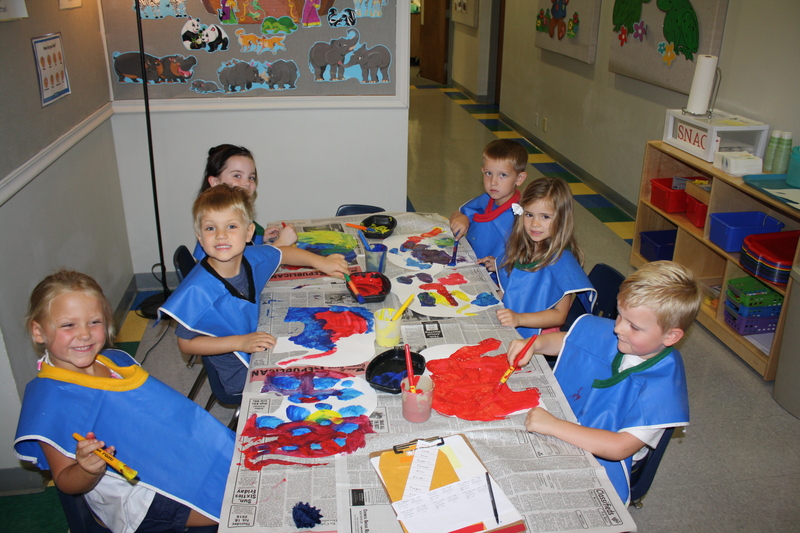 Through painting with primary colors on their elephants children can explore how the colors change while they mix. 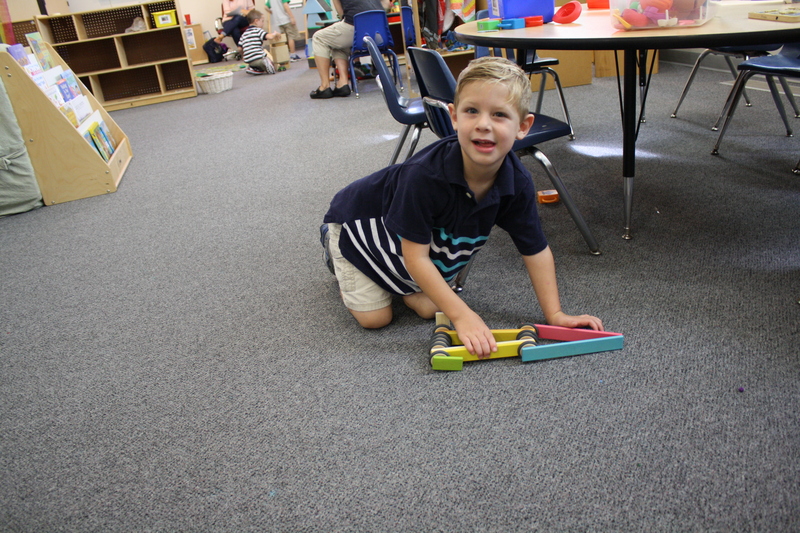 They can also enjoy the different designs and patterns they create as they paint. 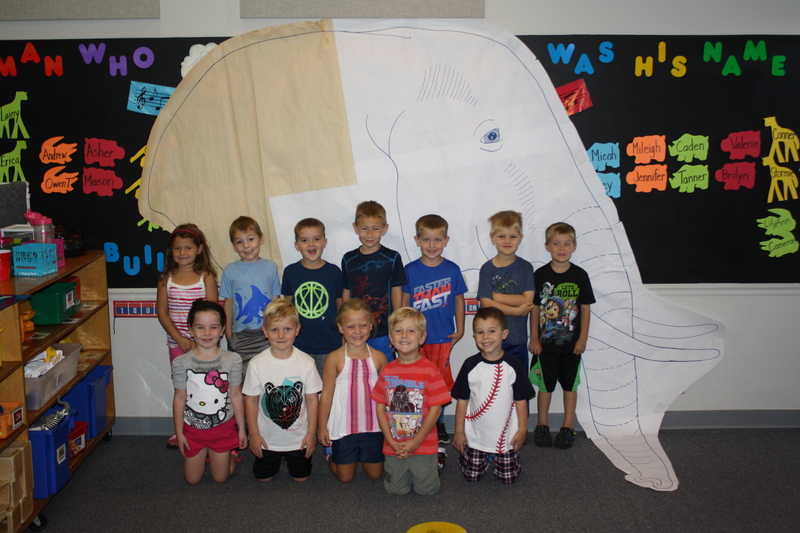 The paper elephant shows how large an elephant’s head is compared to the childrens’ own bodies. 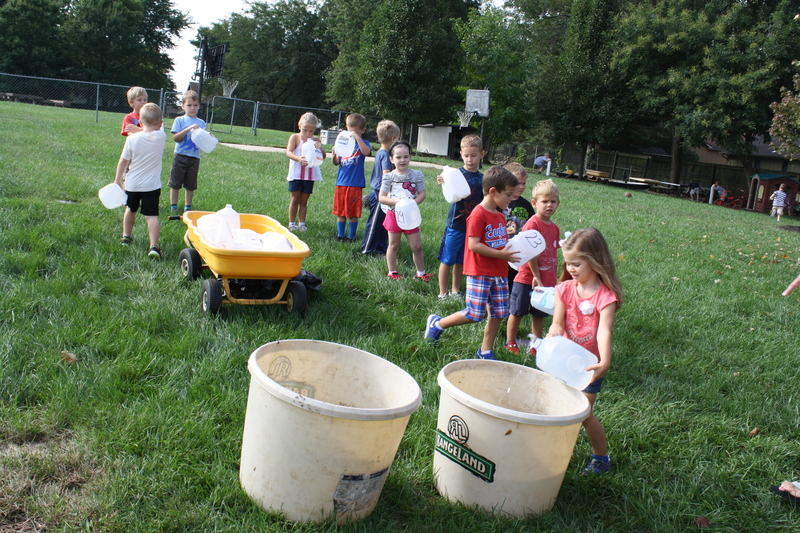 Next, they filled empty milk jugs (30 of them!) and then poured the water into a large tub. 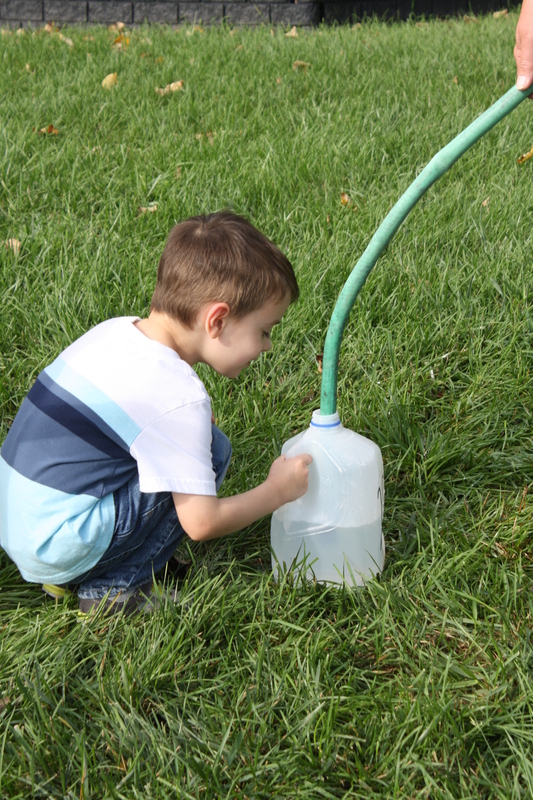 This shows them how much water an elephant usually drinks in one day. 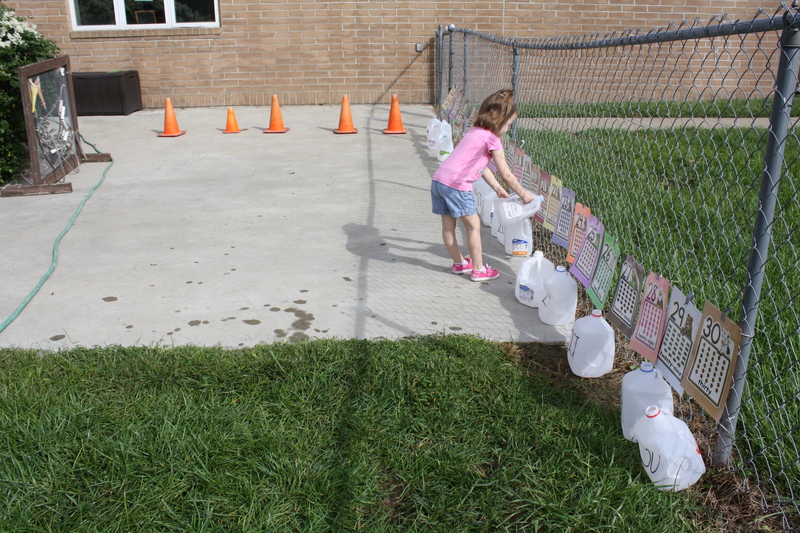 Finally they matched the number on their jug to the number line on the fence. You can imagine how memorable this activity will be for the children. Aren’t you impressed with how well they used all their muscles, including their brains! 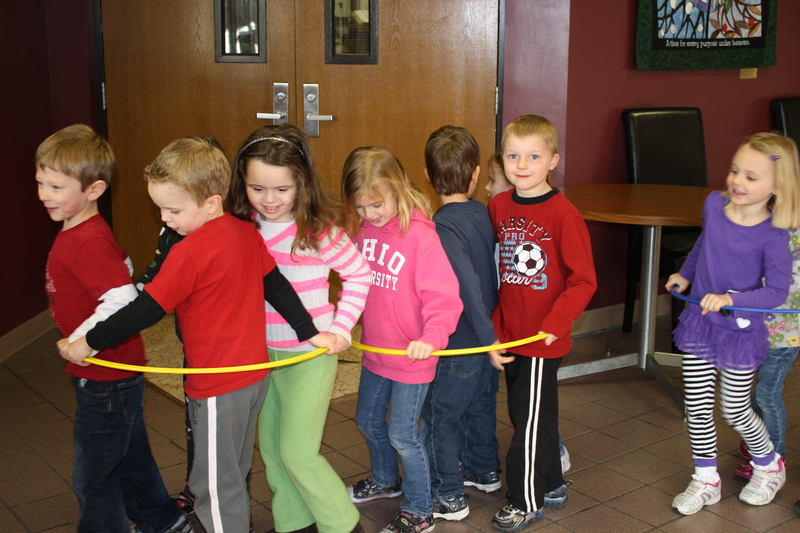 The elephant day is a special activity that Red classes enjoy each year. 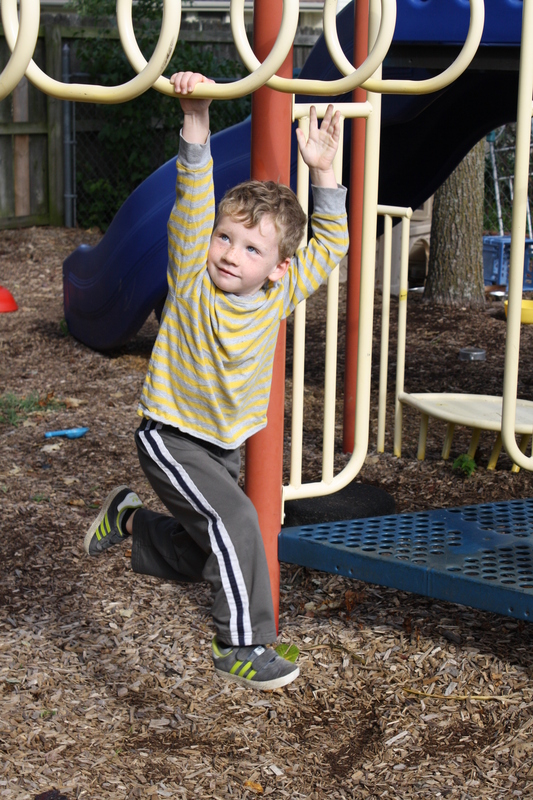 However, it’s also in the everyday play that children learn as they do so many things. Here are some examples from the morning Blue class. 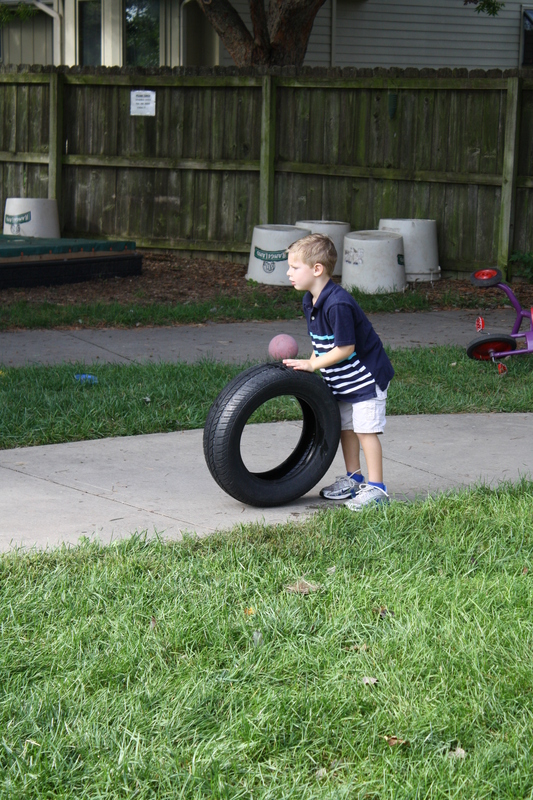 Look at all the physics properties these two boys are dealing with: force, gravity, law of motion, acceleration . 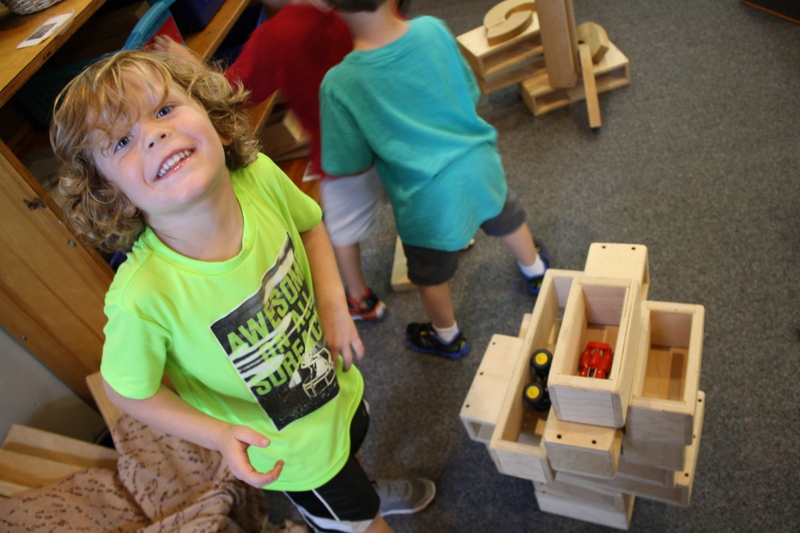 . .
Spatial awareness, size, geometry, volume are just a few ideas these boys dug into (and learned about) in these play experiences. 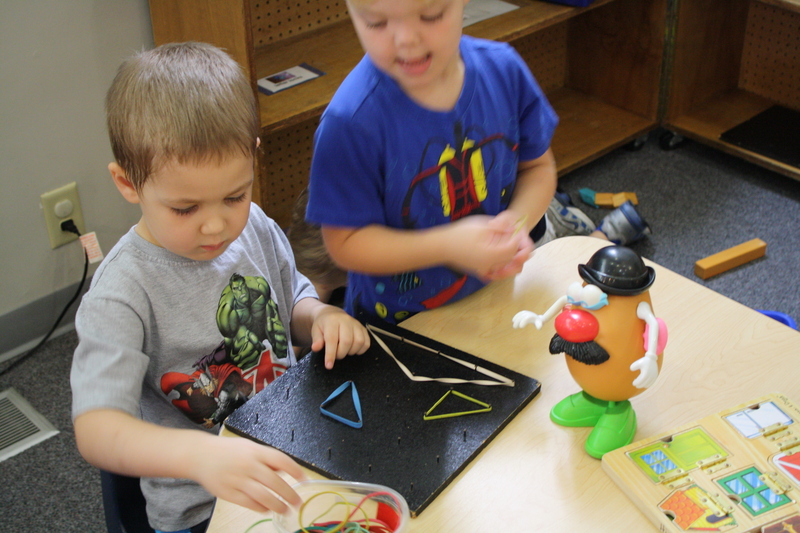 These two children explored creative representation, magnetic force, print awareness and motivation and much more. And, as always, there was a lot of practice with social rules. 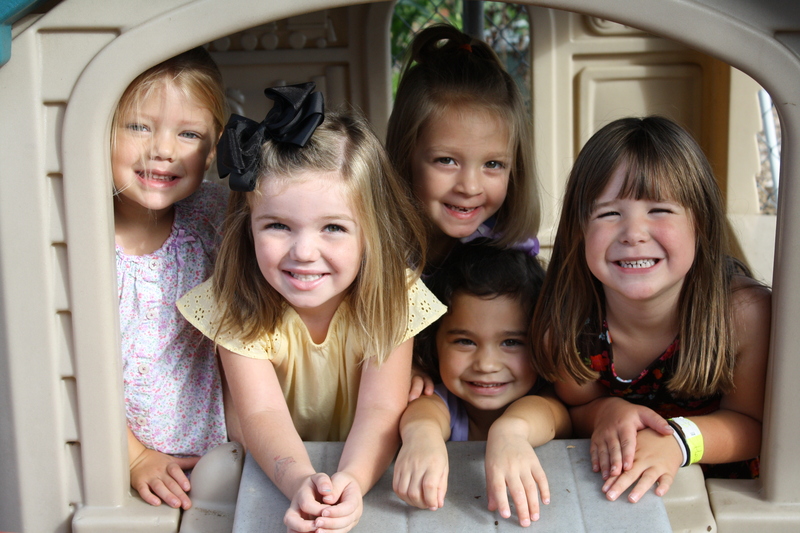 Just imagine how much social coordination these girls navigated to create this adorable photo! We continue to hear news about bullying situations. It is a real problem for older children and can even become a dangerous situation. A preschool parent posted this wonderful article about knowing the difference between bullying and the more common less intense behaviors. You can read that article here. 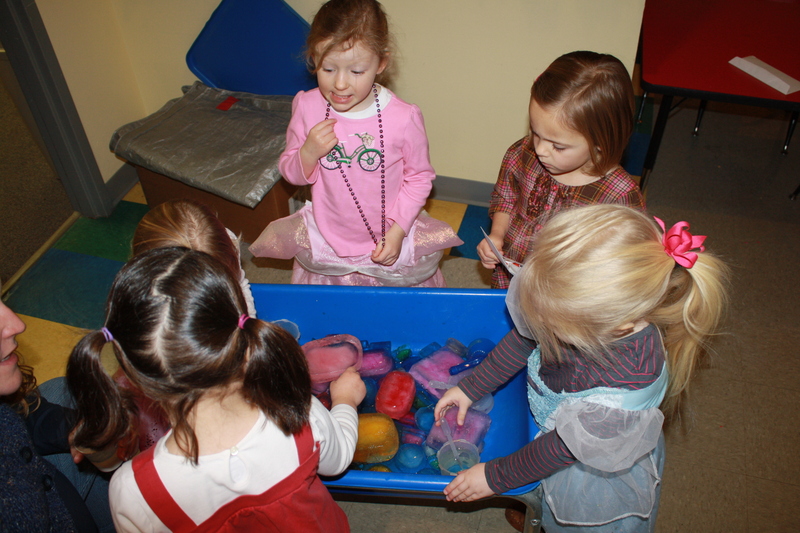 The pictures below show just a few opportunities children at preschool might have to interact socially. 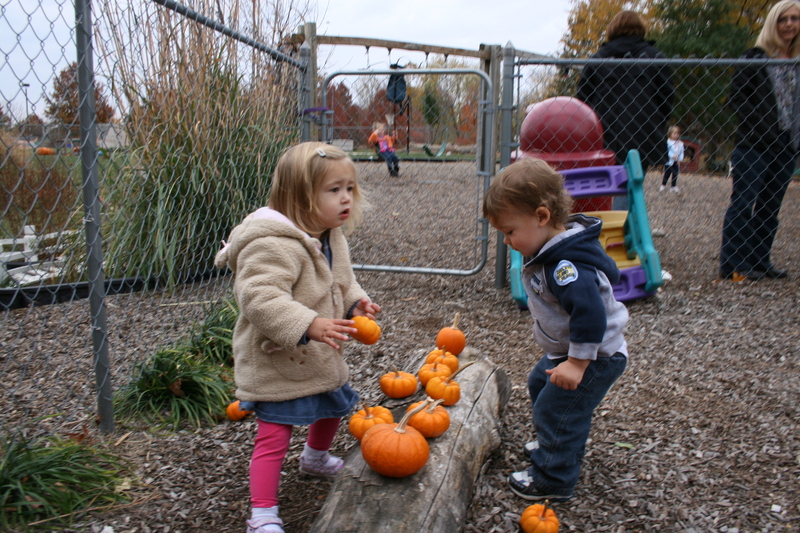 With any social situation comes the possibility of inappropriate behaviors as children learn the social norms expected of them. 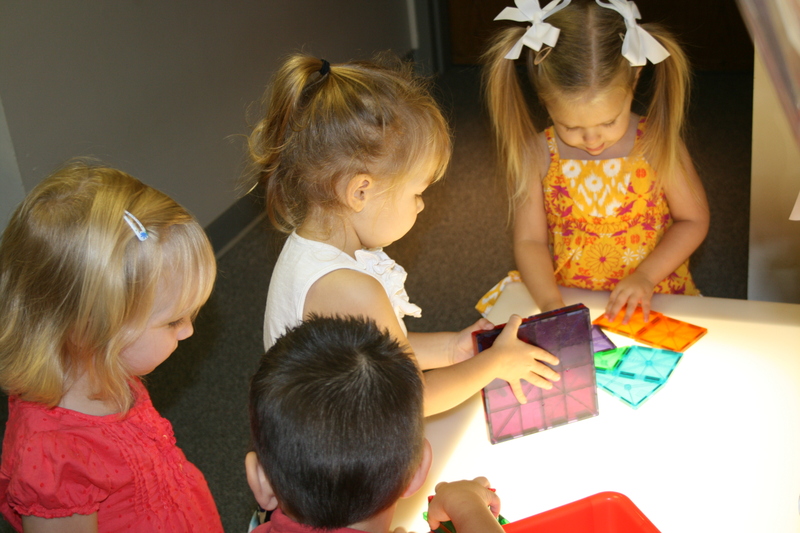 Developmentally, preschool children are still assimilating information about social situations. Young children have little information about dealing with others. They lack the knowledge about how to use social skills for ill will. Below is a previous article from our blog regarding this issue. As we begin a new school year, there are a few guarantees. A few of those are: There will be social conflict. There will be hitting. There will be tears as children figure things out. It is our job to teach children how to manage these situations. I love watching children grow these skills just as much, if not more than, the typically thought of cognitive skills of preschool. With children, wherever two or more gather, there will be social conflict. We can stop and take off our adult ideas about motivation and simply teach.